Calculating a Reasonable Royalty and Pretending to be Friends: Enplas Display Device Corp. v. Seoul Semiconductor Co., Ltd. Calculating a hypothetical reasonable royalty can be a nebulous concept. A plaintiff is tasked with imagining what royalty it would have accepted if the infringer were, in fact, a licensee – a sometimes seemingly impossible question to answer. If the parties were in the first place willing to enter into a licensing agreement, would they not have? Especially if the royalty were “reasonable”? The Federal Circuit has provided guidance on at least one aspect of this rather vague concept of infringement damages, as well as a cautionary tale. On November 19, 2018, the Federal Circuit held that a reasonable royalty may not be based on sales of non-accused products. 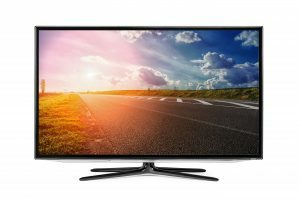 SSC, suspicious that Enplas had violated the terms of their agreement and contributed to infringement of the ‘209 and ‘554 patents, purchased and dismantled several televisions from U.S. retailers. Products from name-brand television manufacturers, including Samsung and LG, contained light bars which SSC believed to infringe their ‘209 and ‘554 patents and which also contained Enplas lenses. SSC delivered a letter to Enplas that Enplas’s double-dealing amounted to inducement of infringement. Enplas challenged the validity of SSC’s asserted patent claims and SSC countered with a claim for infringement and sought damages. The district court judge granted summary judgment to SSC, ruling that no reasonable juror could find that SSC’s ‘209 patent was anticipated by Enplas’s cited art. At trial, the jury found the ‘554 patent to be novel of Enplas’s cited art as well, and further found Enplas liable for inducement of infringement to the tune of $4 million for the ‘554 patent and $70,000 for the ‘209 patent. Enplas appealed. The Federal Circuit affirmed the lower court’s rulings on validity, inducement of infringement and damages for the ‘209, but vacated the sizable $4 million award for infringement of the ‘554 patent. SSC’s damages expert testified that SSC would not have agreed to a license covering only the infringing products, and that SSC would have taken a “pragmatic approach” to such a license that would require a “premium…to avoid [the] ongoing hassle of testing and licensing additional products” (slip opinion at 10). That is, SSC argued that if it were to willingly enter the hypothetical license, it would have required a payment for freedom to operate, which would have captured non-accused products as well. The Court reasoned that SSC’s damages expert’s testimony conflated the identified infringing light bars (and televisions containing them) with products that were neither accused of, nor shown to be, infringing. The Federal Circuit held that a proper award of damages cannot be, even in part, based on non-infringing sales. That a reasonable royalty cannot be calculated using the sales of non-infringing products is a black-and-white rule that, on its face, is straightforward. Although such definitive rules provide clear-cut guidance, the “reasonable royalty” remains a legal fiction. Even the Federal Circuit’s holding in this case does not necessarily capture the practical business considerations that go into voluntary licensing negotiations. A reasonable royalty calculation will, in all likelihood, not reflect the license that would have existed in a world where one party had not infringed the other’s patent. In one scenario, the parties are adversarial; in the other, collaborative. This case serves as a cautionary tale for patent owners seeking to partner with other companies, entrusting them with their valuable IP. Plan ahead in the event the other party absconds with your protected technology and finds other business partners as Enplas did. Building steep stipulated damages into agreements can deter infidelity. Business relationships can mirror other relationships and prenuptial agreements exist for a reason. The materials in this website are intended to provide background information about McBee Moore Woodward & Vanik IP, LLC (MMWV) . The contents of the blogs are intended for informational purposes only. They are not intended to establish any legal advice on any matter. Accessing or viewing the materials in this website or communicating with MMWV does not establish an attorney-client relationship. Readers should not rely or act upon any information in this website without seeking legal counsel. This website may be considered advertising under applicable laws and ethical rules. Contact us at the MMWV IP Law office nearest to you or submit a inquiry online.